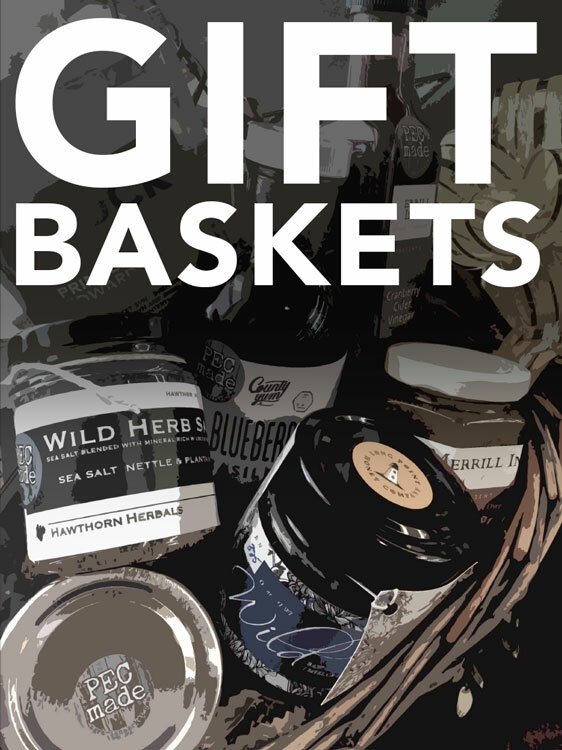 Our gift baskets feature a wide selection of our market products; such as cheese, charcuterie, coffee, crostini, crackers, and chocolates, as well as an extensive collection of locally produced preserves, honey, syrup, ciders, mustards and more. Call 613.476.0001 or email us to place your order. CORPORATE ORDERS – Basket orders of 5 or more will receive a 10% discount , if ordered before December 1st, 2017. Please call or email Market Staff Monday to Friday between 9am-4pm for details. CUSTOM ORDERS – Our Market Staff would be happy to help you create the perfect gift basket to fit any budget. Please note we request a minimum of 24hrs for all custom orders. We are happy to add a previously purchased bottle of wine to any basket upon special request. Ask our Market staff for details. Copyright © 2016 Agrarian Market. Design by Ton-up with implementation by Mysterious Labs.